After all, they have just won for themselves and their families a life of safety and plenty. But there are rumors of rebellion among the subjects, and Katniss and Peeta, to their horror, are the faces of that rebellion. The Capitol is angry. The Capitol wants revenge. I expected so much from this book, maybe I set my expectations too high but I wasn't impressed with the first hundred pages or so. In my personal opinion the book just dragged along and told us a story that as of now didn't seem to valuable. Not only that, but once I started getting into the second half of the book a few pieces of the plot felt like they were rushed and slammed into the book last moment. I feel that the first part of the book could have had some pieces removed to make everything flow better. 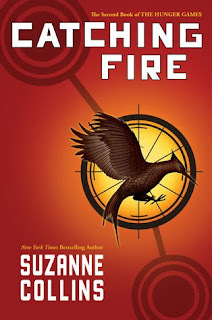 I felt no connection to this book at all either, the characters seemed a bit hollow and I felt that they were not fleshed out enough for me to truly understand them. I really hope a lot of the information that I found to be useless has a reason in book three, I'll be keeping my fingers crossed for that. But I'm only giving CATCHING FIRE a three fedora for those reasons. 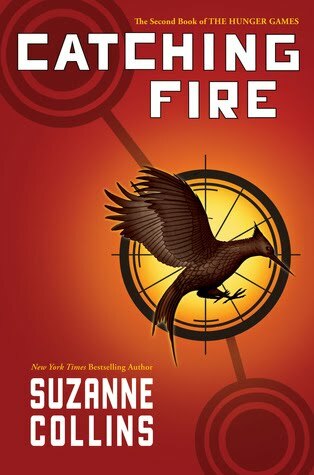 If you've read HUNGER GAMES I suggest this book to you because it does tell a story, I just felt like pieces of the story were a waste of time and drawn out. I liked this one, but not as much as the first.